“The Parish Book of Chant is the answer to a church musician’s prayer!” Sacred Miscellany. 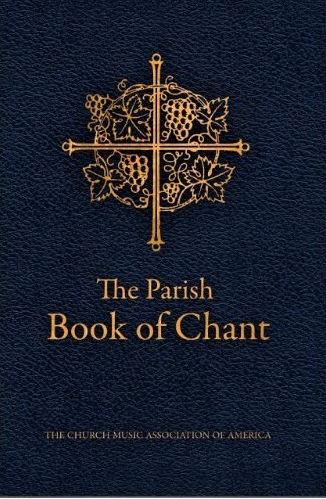 The Parish Book of Chant is published by the Church Music Association of America as a unique resource for choirs, priests, families, and congregations who seek to sing and understand the universal musical tradition of Catholic people. It is a 6×9″ hardbound volume, 350 pages, with a very beautiful cover and outstanding print quality. It is published under the Creative Commons attribution license 3.0, which means that you can copy, distribute, record, or distribute electronic files with no restrictions and no license whatsoever. It is published as part of the commons of the faith. It has been developed with the hope of bringing to life, in every parish and home, what the Second Vatican Council called a “treasure of inestimable value,” which is our Gregorian tradition of song. 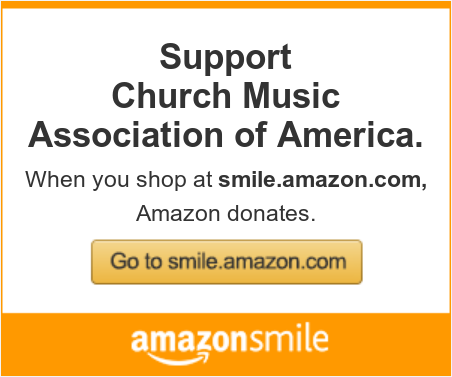 It is compiled and expertly typeset by Richard Rice (Communio) with the assistance of the CMAA and many people involved in sacred music in the United States. It is available from Amazon. If you have questions or special requests or want to place a bulk order, call the CMAA at 505-263-6298. You can examine the entire contents in this full PDF. It contains a complete order of Mass for both the Ordinary form of the Roman Rite and the Extraordinary form, in side-by-side Latin and English. The Ordos include the sung responses of the people and celebrant. In this respect, it serves as an ideal resource for parishes that use both forms or simply hope to emphasize the relationship between them. This edition is dramatically improved over the 1st edition with expanded Kyriale, Sequences, litanies, Communion Propers, full chant hymn verses, ribbons, tutorial, and the fully and updated ordo to the ordinary and extraordinary forms of the Mass. It is a marvelous production, essential for every schola because it includes all the basic chant repertoire. It contains the full Kyriale, which is a collection of chants that make up the “ordinary” of the Mass: Kyrie, Gloria, Credo, Sanctus, and Agnus Dei. These are the main sung parts of the Mass that are used throughout the year and the parts that all people are invited to learn and sing. This includes the full Credos in addition to many Mass settings that have been beloved for the dominant part of Catholic history all over the world. It collects 71 Latin chants, with English translations, that are for occasional use in Mass in various seasons of the year, such as hymns for Advent, Christmas, Lent, Easter, Pentecost, as well as Marian hymns and chants for funerals and other occasions. These are hymns that constitute the most serviceable of the repertory, have inspired composers for 10 centuries, and have been in the minds and hearts of Catholics for generation after generation. All music is set on four-line staffs with newly typeset neumes that make the music crystal-clear for singing. It includes a 7-page tutorial on singing chant that is invaluable for the beginner and can also teach the more advanced singer. It teaches understanding of signs, melodies, style, rhythms, and modes, all in a very brief section at the back of the book. Additional features include the order of service for Benediction, Gospel canticles, litanies, and Alleluias for both forms. These features were chosen with the parish experience in mind. There is no existing resource that combines them into a single volume: the Mass, the people’s music, tutorial, and translations. Again, this is not a reprint but a newly created book that offers the core of the people’s Gregorian music. This book could be the most valuable resource yet produced to help Gregorian chant assume its “pride of place” in Catholic liturgy. It is our sincere hope that this book will make possible the full integration of Gregorian chant, as sung by the people, into both forms of the Roman Rite in English-speaking countries.